They say that if you are not a fan of running, throwing or catching, but would like to have some sort of sport that you can add to your list of hobbies, playing golf would be a good choice. In fact, a lot of people even label it as the “lazy man’s sport” especially since golf wouldn’t require you to make any of those exhilarating, adrenaline-powered movements so often seen in other sports like basketball, soccer and baseball. 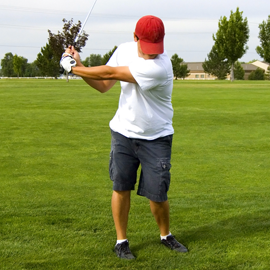 Truth is, however, playing a round of golf can be a great form of exercise– for both the body and mind. 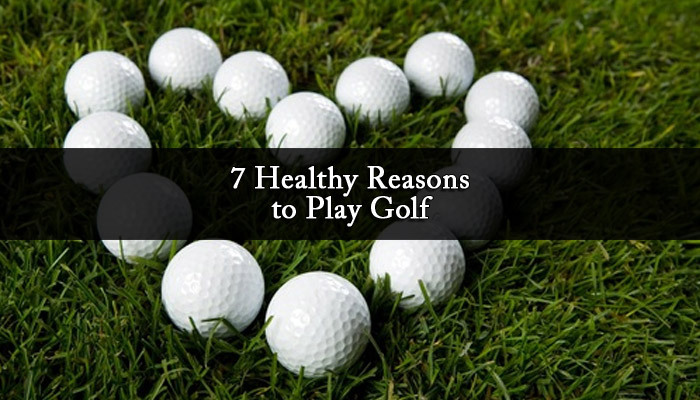 So, if you are looking for another excuse to hit the greens, here are seven healthy reasons you should play golf. (1) It’s good for your heart. Any activity that leaves us short of breath and makes us sweat is good for our heart. Golf, which entails a lot of walking, is definitely not an exemption to that. Everytime you leave your cart behind and choose to just travel by foot from hole to hole, you are actually walking four to eight miles around the course. And as a golfer you are well aware that courses aren’t made up of flat terrain. One moment you’re climbing uphill and the next thing you know, you’ll be rolling downhill. That means, you’re not just working out your heart and lungs, but losing weight and toning several muscles as well. (2) You’ll have stronger bones. The next time you feel like leaving your bag in the golf cart, think about your bones. Why? Having strong bones is not just about drinking milk. Studies show that weight bearing exercises at least twice a week are also good for your bones because they not just build you a strong skeleton, but more so help you prevent bone degeneration diseases like osteoporosis. So, how exactly can you incorporate weight bearing in your game? Bet you guessed it right– carry your clubs as you make your way to the greens! 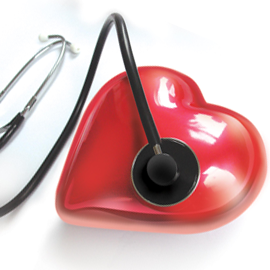 (3) It reduces stress and cholesterol. Playing golf is very much like enrolling in a 45-minute fitness class. It is proven to reduce stress, burn excess fats and lower cholesterol levels. As a matter of fact, research proves that a single round of golf can even burn 300 calories when you walk with a pull cart and as much as 400 calories when you carry your clubs! (4) It’s a way to get your daily dose of Vitamin D.
Simply playing outside already boosts a person’s spirit, but what’s more is that you also get to have your daily dose of Vitamin D, which is essential for bone development and skin cell regeneration. That’s another reason to go outside, walk around the links and enjoy a good round of golf under the sun! (5) It powers-up your brain cells. Everytime you do an activity that requires movement, more oxygen is pumped to the brain that aids in creating new and healthy brain cells. 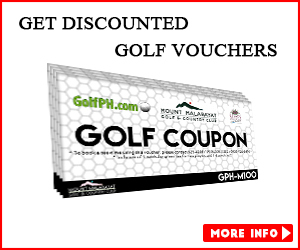 That’s why playing golf can actually boost your brain power by stimulating proper blood circulation as well as improving neural pathway connections. 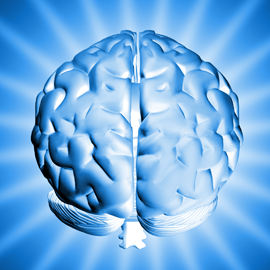 This lowers your risk of getting Alzheimer’s and other mental diseases. Aside from that, golf also serves as a mind challenging activity because it helps you acquire and develop various mental skills like coordination, concentration, visualization and strategy among others. 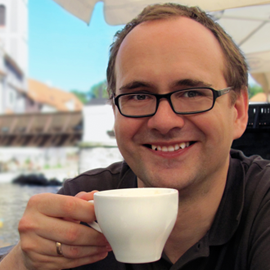 (6) You’ll feel better… and happier. Golf promises more than just physical benefits, because playing a round actually allows your body to release endorphins, a powerful, mood-enhancing drug responsible for making a person feel better and happier. So, the next time you play, don’t be too hard on yourself. Try to enjoy strolling in the open air and have fun with your golf buddies. Win or lose, you’ll definitely feel a lot better. 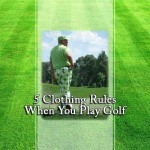 (7) Playing golf improves your social life. More than the sceneries and the rules of playing, it’s actually the social benefits of golf that makes it really popular. 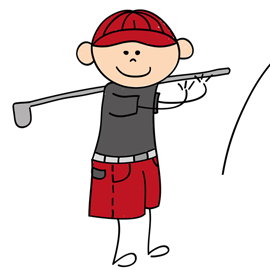 Playing golf can help you establish self-confidence and build friendships among your fellow golfers. 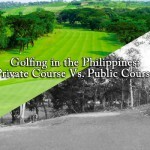 As long as you don’t focus too much on winning against other golfers, playing golf can indeed be a relaxing activity. Just the thought of spending time with your buddies and engaging in worthwhile conversations with them especially on a beautiful day would make you want to visit a course right now. You may not be totally aware of it, but golf really do offers a lot health benefits even though it’s not like the usual sports that most people play. It is definitely a great way to stay healthy and of course, have fun! 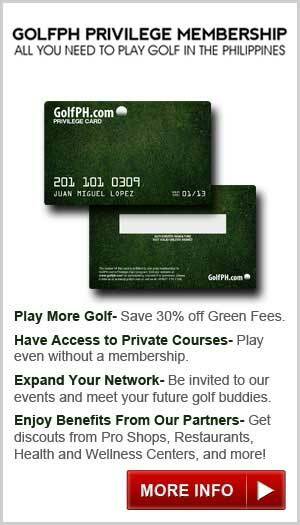 So, do you think you’re ready to take advantage of all the good things playing golf has to offer? 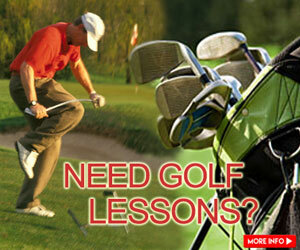 Grab your clubs now and head out on your favorite course. 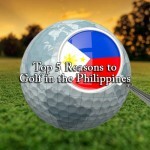 Or better yet, choose to play at one of the top courses here in the Philippines!